A 15-member advisory board formed to oversee a Niagara University-led initiative to transform the regional tourism industry was announced recently. 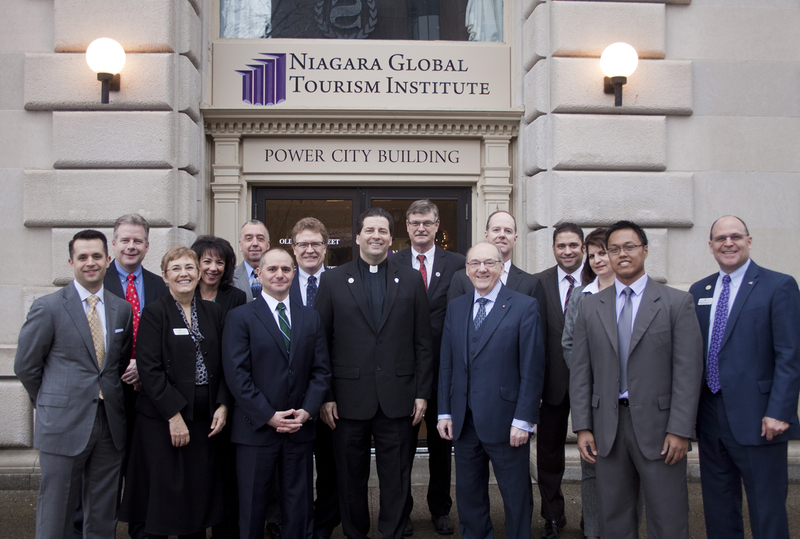 The Niagara Global Tourism Institute Advisory Board will be co-chaired by the Rev. James J. Maher, C.M., Niagara University president, and Christopher Schoepflin, president and CEO of USA Niagara Development Corporation. Daniel Hamister, Senior Vice President & Chief Investment Officer, Hamister Group Inc. The NGTI, launched in September 2013, seeks to leverage the university’s significant history and resources in hospitality and tourism management to enhance Niagara Falls’ tourism industry, which has been identified as a key economic driver by the Western New York Regional Economic Development Council. The program’s development also correlates with NU’s service-centered mission and the objectives of New York Governor Andrew Cuomo, who has made the revitalization of Niagara Falls a top priority. For more information on the Niagara Global Tourism Institute, please contact Dr. Friel at 716.524.2575 or ude.aragain@leirfe.